It was a great month for playing marbles, going camping, and gardening. Could each of you let me know if you will be able to attend the Badminton game on this Sunday March 30th. We have been invited to join with the Tigers and Bears for this fun time! Roger Long from Sarasota's Badminton Club has offered to teach us how to play and let us play some games with them on 1:00 Sunday, March 30 at Arlington Park. This is a long weekend for Srq schools.Please let me know if this date would work for you. If this doesn't work, we may be able to get Sunday April 13th. We visited the Firehouse and we are joining the Bears at the 911 call center too! Great job on our denner entries for the Cake Bake at our Annual Blue and Gold Dinner. Please let me know all the achievements that everyone has gotten. I need to input them into Packmaster for our Awards Advancement Chair to pull on Tuesday morning. So please. Email me by Saturday. This is just reminder we are not meeting at the St Thomas More Church tomorrow evening we are meeting at Will's Fire Station. This is located at At 3530 old Bradenton rd. parking is behind the station off 36th st. The best way to station is off 301 or 41 and then taking Myrtle to old Bradenton rd. Station is just south of intersection. We are also lucky that the Bear Den is also joining us for the Go See it. For those who went camping hope you all enjoyed your weekend and look forward to hearing all about it tomorrow. Reminder please get to me the achievements that your scout got since last pack meeting. Ex. Baseball, Be be guns shooting, archery, bowling etc.. 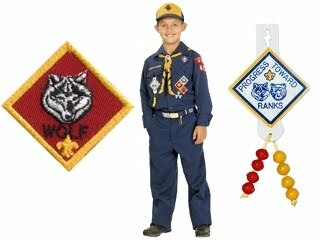 This way we could have your scout recognized at the next pack meeting. November Pack Meeting and Turkey Shoot will be hosted by our den, the WOLF DEN!! Our Annual Thanksgiving Pack Meeting will be held on Monday, November 18th at 6:00 - 7:00 PM at St. Thomas More - Spirit Center. Entertainment includes our famous Rubber Band Turkey Shoot, Nerf Turkey Target and Turkey Toss. We’ll also be crafting holiday cards for our soldiers. Instead of the traditional turkey, we’re going modern with Turkey Sliders. Our den will be bringing the Turkey breast & rolls for the event. Remember to bring in non-perishable food to donate to All Faith’s Food Bank so that all families in our community can also enjoy a Thanksgiving Feast---and feed their families throughout the year. 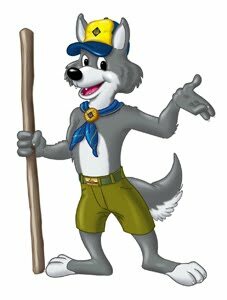 The Wolf Leader Handbook has been passed down from LauraV now Bear Leader to JeffB now Wolf Leader. Congratulations Leaders on your new roles. Opening: Flag Ceremony – led by Michael Rigano. We discussed plays, scenery and shared a puppet theater. We are continuing to rehearse “the Briefcase skit” for the April 15th meeting. We had discussed what plants need (dirt, water, food, sun) Scouts had planted sunflower seeds, took them home to care for, and the seeds should now be sprouting. We also had discussed poisonous insects found in Florida. Program: Art Pin Req. #2 We demonstrated 6 design elements. (see worksheet) using: paper, pencils, crayons. Discuss what they discovered when the mixed the primary colors. 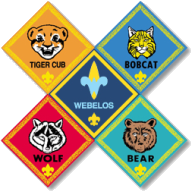 ·	Living Circle - Cub Scouts and leaders stand in a circle, left hands extended to the center, palm down. Each person grasps the thumb of the person to their left, forming a complete circle of hands. The right hand is raised in the Cub Scout sign. Pumping the left hands up and down, everyone says "Ah-KAY-la, we'll do our best." Collect permission slips for Earth Day. o	Akelas – on you’re signing all Achievements/Electives completed, email to lj.valek@gmail.com. See handout. We will meet tonight at STM at 6-7. I have to leave promptly at 7:00, so if you have any questions, please let me know before or during the meeting. Tonight we will be making scenery for a skit. The Scouts can make up their own skit, work as a den, or use one I will provide. If they want to share their primary color plates, bring them. Cub o Ree is this weekend at CFE. We will be camping as a pack at Marie Selby campsite. Tonight's meeting We had a very productive meeting tonight and we will see minutes ASAP as they are approved.BALOO training is March 5th, please contact Devin for more information.